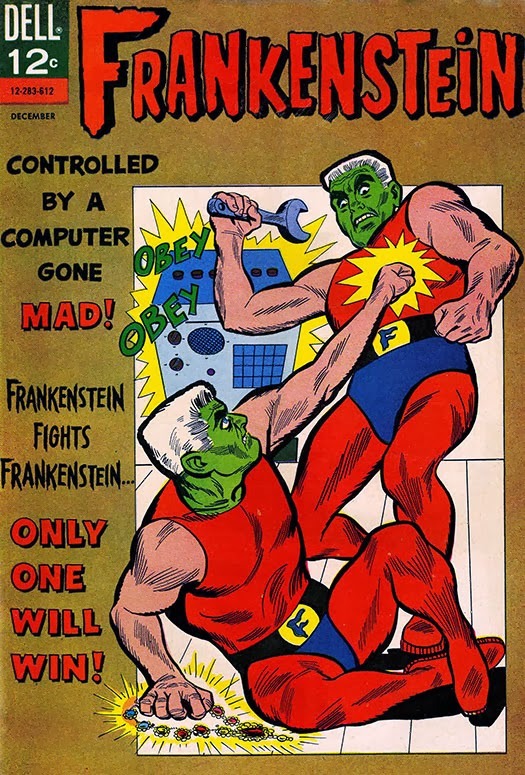 Hero Histories: Frankenstein the SuperHero "Programmed for Death"
...actually, we haven't seen this battle, and there's a good reason for that, which will be revealed shortly! 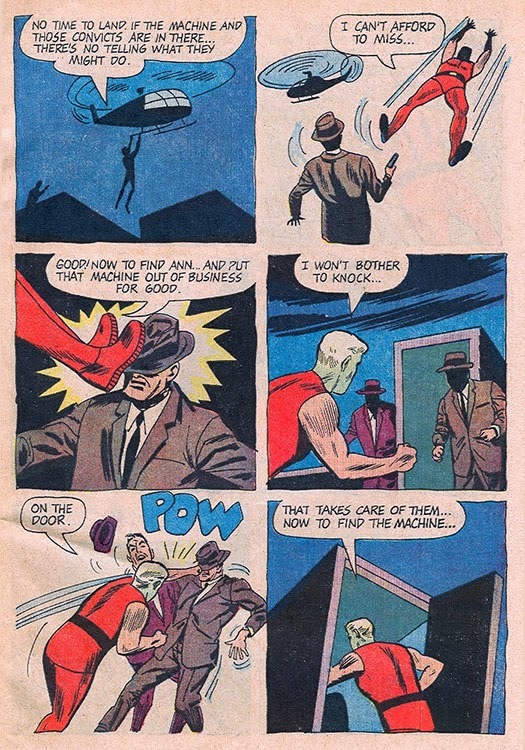 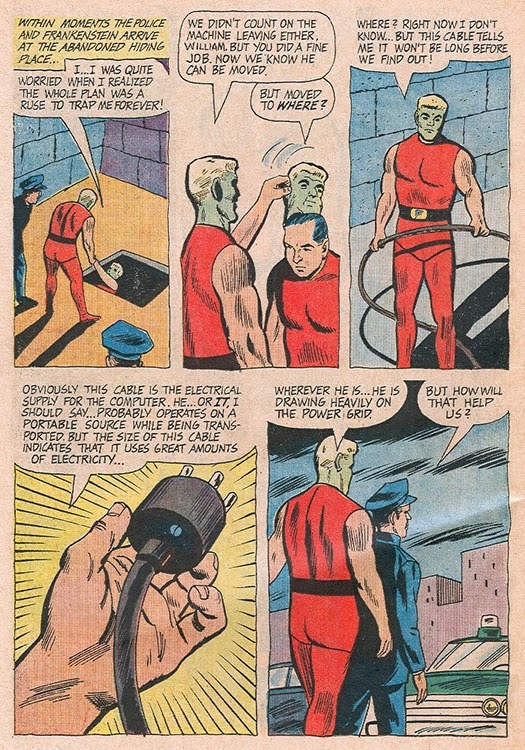 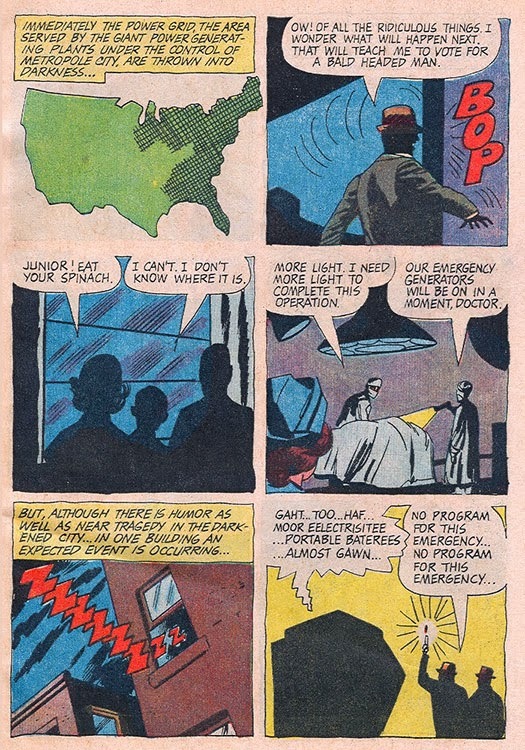 A criminal computer can control humans' thought processes...including Frankenstein, whom it uses as a super-powered slave until he is freed by his butler and aide, William! 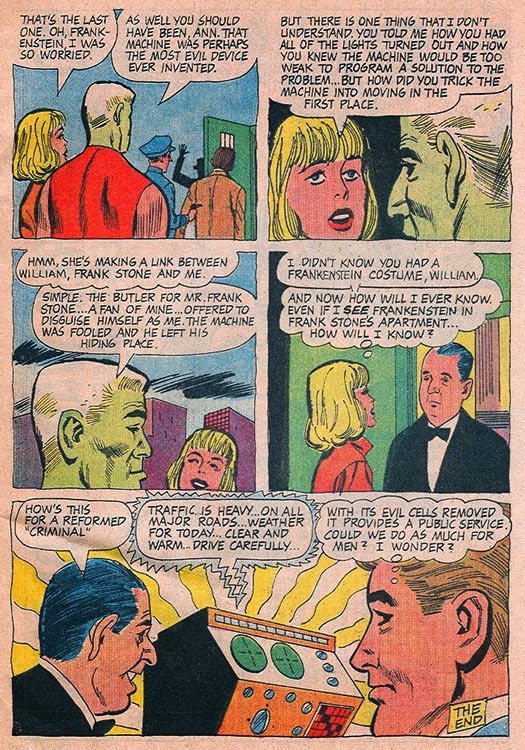 As Frankenstein plans his counter-attack, nosy reporter Ann Thrope is taken captive by the computer's men. 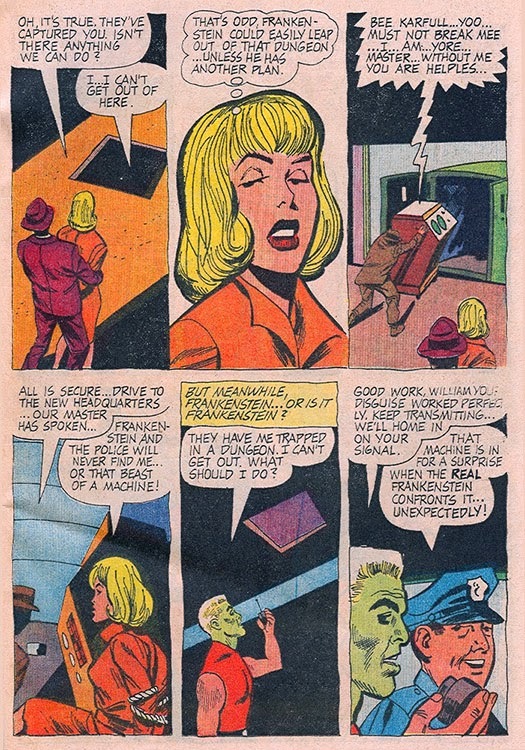 When Frankenstein attempts to invade the computer's base of operations, he's trapped. 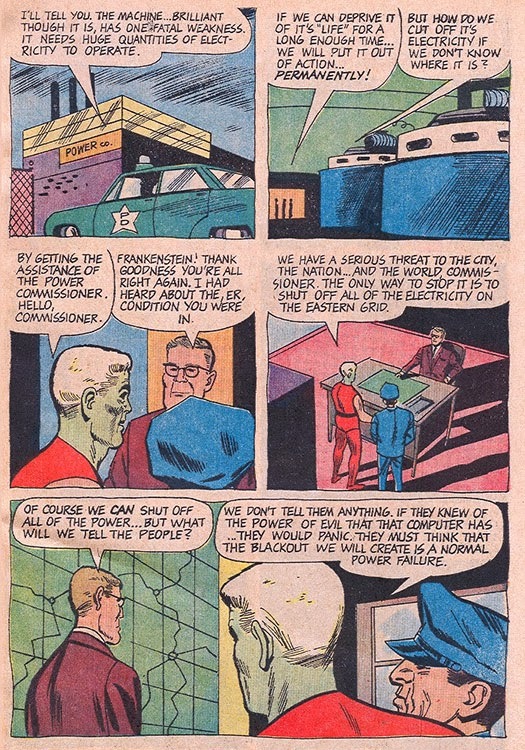 Doc Savage had the same idea decades earlier, resulting in his Crime College, where he performed brain surgery on criminals to achieve that result! 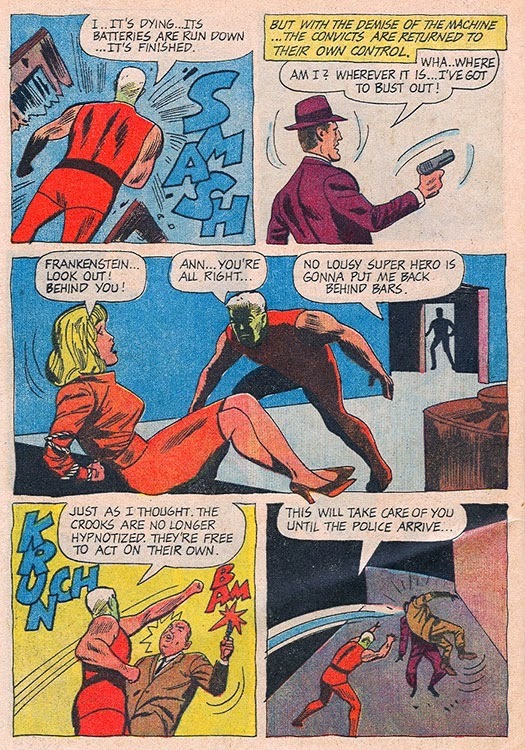 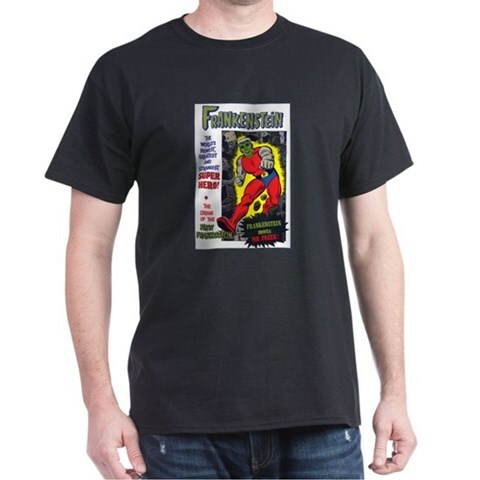 The end of the digital device's criminal career is from Dell's Frankenstein #3 (1966), written by Don Segall and illustrated by Bill Fraccio & Tony Tallarico. 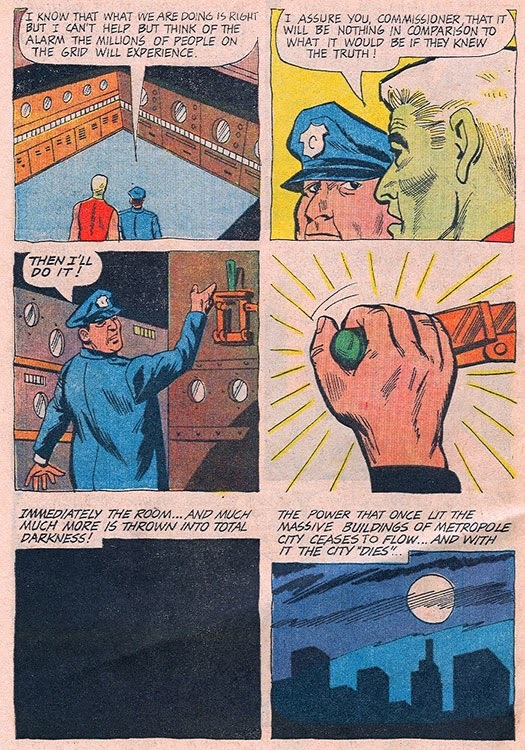 The Return of Dracula the SuperHero!